Lung cancer is by far the leading cause of cancer death among both men and women; about 1 out of 4 cancer deaths are from lung cancer. Each year, more people die of lung cancer than of colon, breast, and prostate cancers combined, according to the American Cancer Society (ACS). 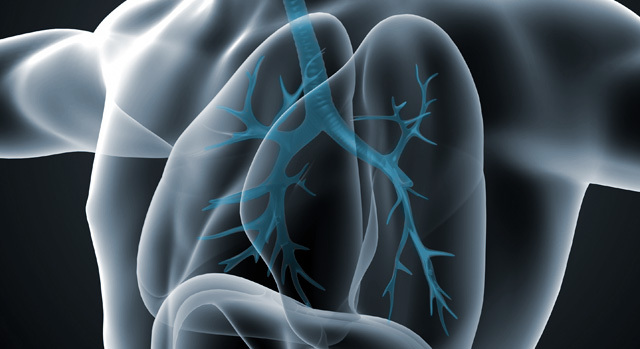 One reason for the low survival rate is that lung cancer is often recognized in its later stages, when it is most difficult to treat and the course of action for patients is limited. Manatee Memorial Hospital has a dedicated multi-disciplinary team of physicians and healthcare professions who work together to determine the best course of action for people who are diagnosed with lung cancer. People who are at high risk for lung cancer can significantly improve their chances of surviving the disease if it is detected in its earliest stages. By making an appointment with the Nurse Navigator to have a low-dose-radiation computerized tomography (LDCT) scan, survival rate may improve through earlier detection, accurate diagnosis, accurate localization and curative therapy. Manatee Memorial Hospital has been designated a Lung Cancer Screening Center by the American College of Radiology (ACR). The ACR Lung Cancer Screening Center designation is a voluntary program that recognizes facilities that have committed to practice safe, effective diagnostic care for individuals at the highest risk for lung cancer. Should You Have a Screening for Lung Cancer? The National Comprehensive Cancer Network (NCCN), the American College of Chest Physicians, the American Society of Clinical Oncology and the ACS have recommended screening smokers who are 55 to 74 years old; that have smoked a pack of cigarettes or more a day for 30 years or longer and who are still smoking or who quit less than 15 years ago. The NCCN also recommends screening smokers 50 and older who have smoked a pack of cigarettes or more a day for 20 years or longer and have one additional risk factor for lung cancer (radon exposure or occupational exposure to certain chemicals). An Oncology Nurse Navigator is on call to offer you and your family personalized assistance from the moment you call or visit. Our Oncology Nurse Navigator can schedule LDCT scans for patients, and helps guide patients and their families through healthcare decisions. For more information or to make an appointment, call our Oncology Nurse Navigator Kelsie Corry, RN, BSN, TTS at 941-745-6930.